Last year, I did a Real Women blog series in October, and it made our community stronger than ever! I had never done anything like it before, and really enjoyed sharing the stories and experiences of others! This year was a slow year in that I didn’t have a solid 31 day series topic until this week. This week, folks! But I can tell you that this new October series is going to be so good. Why? Because it’s about friendship and anyone who wants to contribute to the series can! I put together a survey of questions about friendship, and people from all different walks of life are answering the questions honestly. Honestly! Any of the answers used are only by the sender’s consent and will be recorded on this blog anonymously. That means that you, (yes, you!) 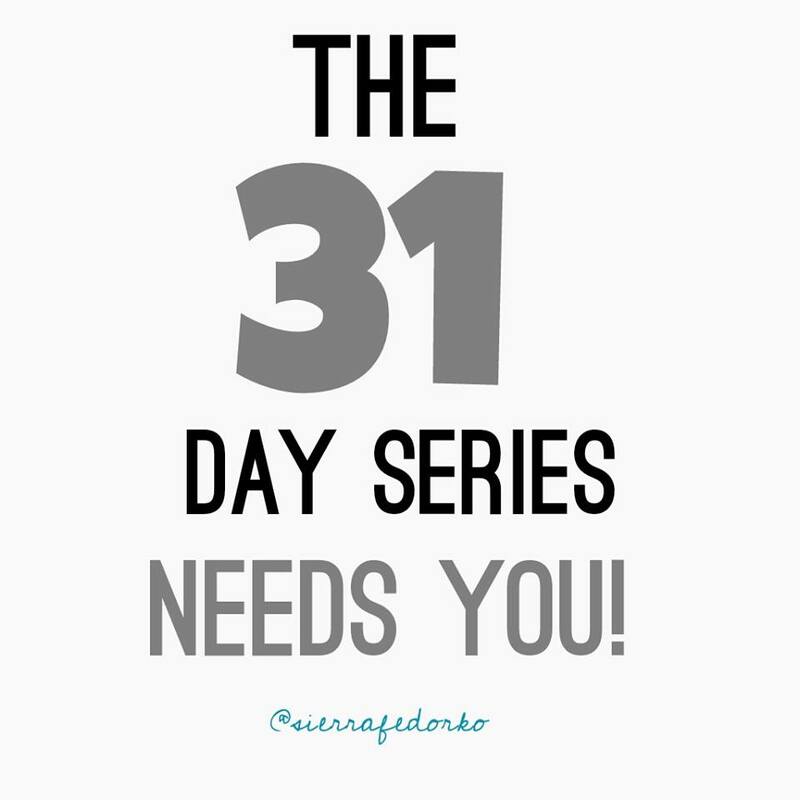 can transparently answer questions about friendship and contribute to this 31 days series for October. I can’t wait to bring to you my words, your words, and the words of so many others in an eye-opening blog series that will help us understand, love, and care more deeply for our friends. Let’s spread light on what’s been hidden for so long! Let’s reveal our hearts so that others may walk more deeply into our lives, as we walk ever closer to them. 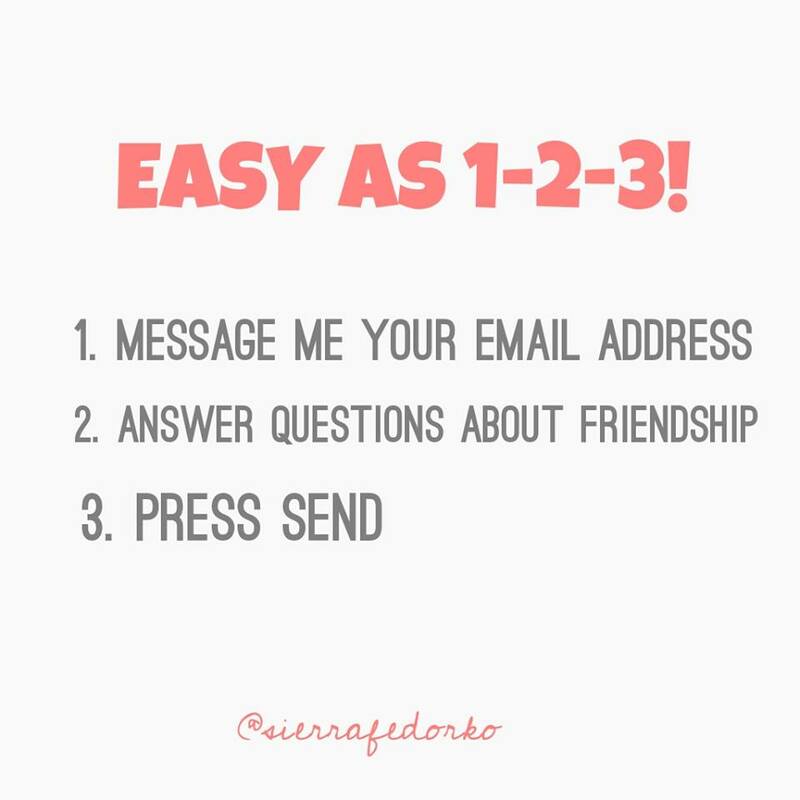 If you’re interested in answering questions about friendship, message me your address at Down Cottonwood Lane, or email me directly at sierra.downcottonwoodlane@gmail.com. I will then send you more information. It’s easy as pie! Or in this case, easy as 1-2-3! Your taking time to answer a handful of questions is going to make all the difference this October…and who knows? It may even impact someone’s life for a lifetime. Have a fabulous weekend, friend. Drink some coffee from a real mug. Sit in the breeze that’s feeling a little more like fall every day, and enjoy the quiet. I hope to hear from you, because I believe that you have valuable experiences and opinions to contribute! Our Second BRIGHT blue home! Hi Sis! I’d love to participate! I couldn’t get that email address to cooperate for me. You have my email address, right?